We study the function of the hypothalamic melanocortin system in glucose homeostasis using mouse models. 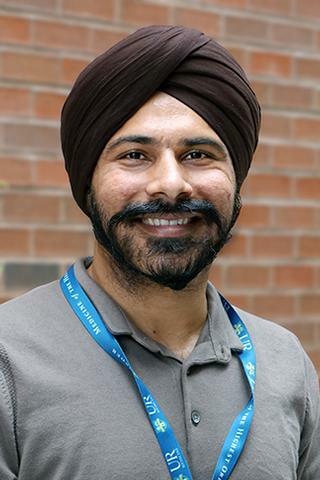 Kavaljit H. Chhabra, M.Pharm., Ph.D.
Hypothalamic POMC or MC4R deficiency impairs counterregulatory responses to hypoglycemia in mice. ; Molecular metabolism. 2018 Nov 20. Electrical stimulation of renal nerves for modulating urine glucose excretion in rats; Bioelectronic Medicine; Vol 4(7). 2018 Jan 01. Reduced renal sympathetic nerve activity contributes to elevated glycosuria and improved glucose tolerance in hypothalamus-specific Pomc knockout mice. ; Molecular metabolism; Vol 6(10). 2017 Jan.
Reprogramming the body weight set point by a reciprocal interaction of hypothalamic leptin sensitivity and Pomc gene expression reverts extreme obesity. ; Molecular metabolism; Vol 5(10). 2016 Oct.